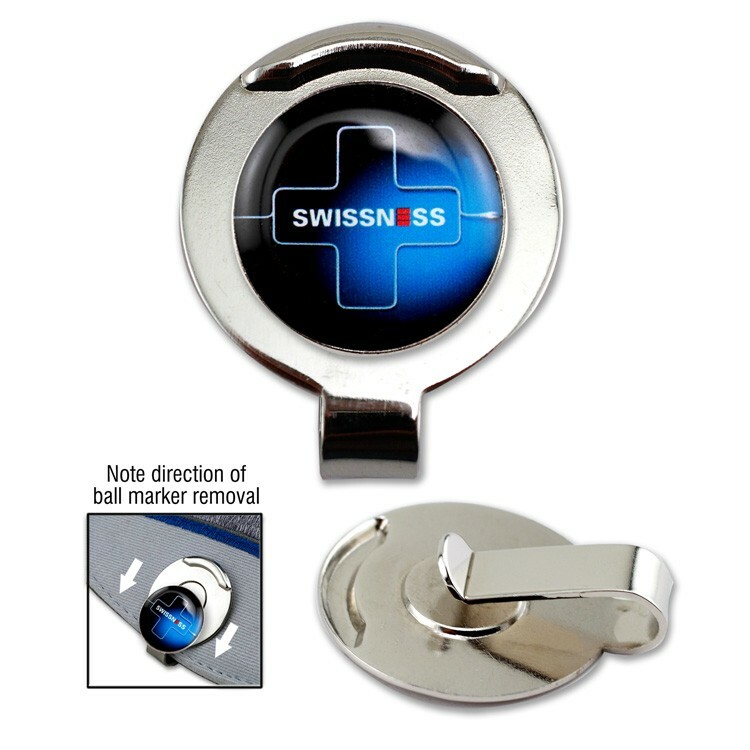 * Includes 3/4" custom full color magnetized ball marker with epoxy dome. * Marker slides off recessed magnet in clip towards front of cap. * No die or setup charges.